The, "Greatness Academy," is an Elective Course created and comprised solely of young men of color. The course is designed to be taught during the school day. 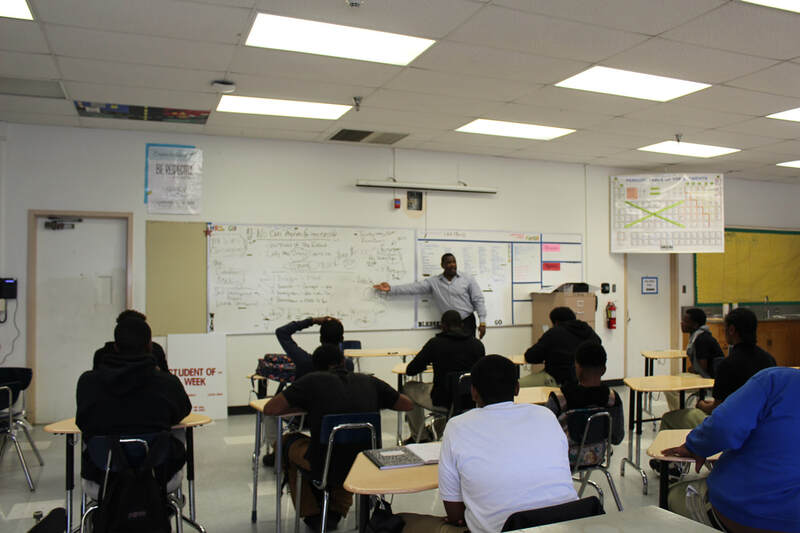 The curriculum is research-based and designed to help young men gain a deeper understanding of how to connect a quality education to their future financial well-being. In this ongoing series, I will share insights and strategies that will help you create a positive learning environment in your classroom, and throughout your campus. Each week I will share a new tip that is teacher-friendly and classroom-ready. Feel free to share this page with other teachers and administrators. Also, feel free to email me questions about your concerns and classroom challenges at: weshall217@gmail.com. Due to the expected amount of inquiries, please allow time for a response. The Subtle Art of "Relationship Building." "It's not important how you see your students - it's important how your students see you." During my Professional Development Workshops, I ask a critical question, "How many people consider yourselves professional relationship builders?" Rarely do I get more than a couple of raised hands. Yet, understanding the subtle nuances involved in relationship building is paramount to reaching and teaching young men of color. EVERYTHING, revolves around and springs forth from the strength or weakness of the relationship. This week I will provide you 1 critical things you must know to build effective relationships with young men of color. #1. The #1 Rule to be building effective relationships with young men of color is: "Know Thyself." Young men of color are no different than other young people who are professional at identifying your pushing your buttons. And, the strongest among them, upon identifying your weakness will seek to exploit it, openly. Therefore, you must take an exhaustive inventory of your fears and stereotypes when engaging young men who emanate from diverse communities. "If you are breathing, you are communicating," the question is, are you communicating on purpose that which you are communicating, without saying a word? Young men who grow up in dysfunctional environments stay alive by interpreting the most minute and subtle cues. Their trained eyes, ears, and senses quickly pick up nonverbal communication that most would overlook. you must, therefore, be very aware of the hidden messages you are transmitting with every move you make, and every word you speak. It is critical that you know where you are going, with your subject, before you start. You must remain consistent.